CLM Pallet | Welcome to CLM Pallet Recycling, Inc.
A full-service, industry-leading pallet recycling company based in Indianapolis, Indiana, CLM Pallet Recycling utilizes lean manufacturing techniques to build and assemble products that meet or exceed customers’ expectations and industry standards. 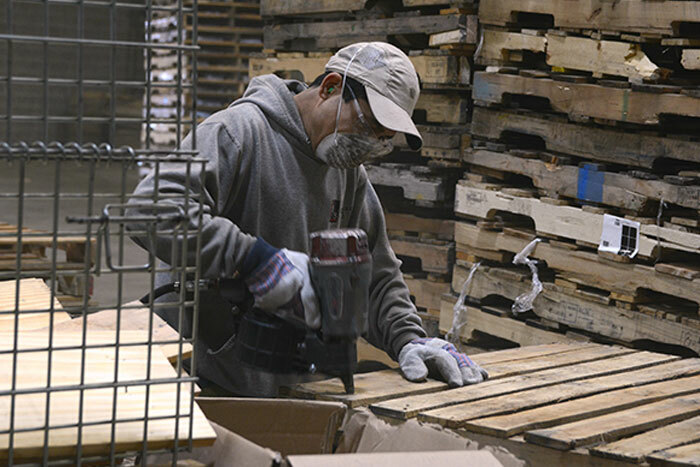 Whether your company needs assistance establishing a pallet recycling program or if you would like to know more about the benefits of using recycled wood, we are here to help with all your pallet recycling needs. 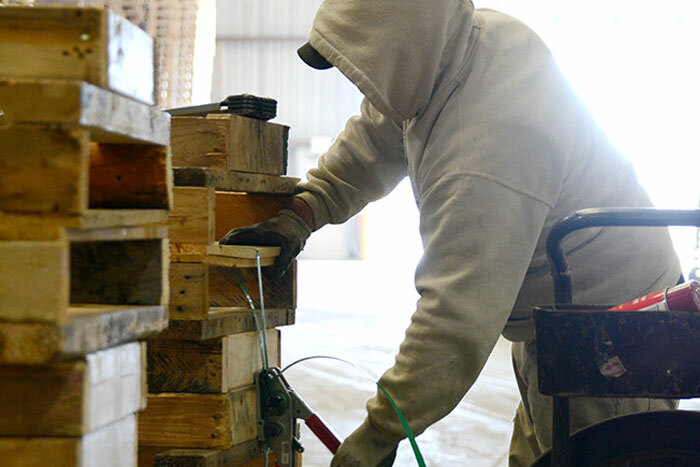 CLM manufactures and repairs GMA pallets, custom pallets and skids, and custom crates – as well as pallet sorting and management solutions – for customers throughout the greater Indianapolis region and across central Indiana. CLM operates its own fleet of tractors and trailers, which ensures complete control over pick-up and delivery services. CLM reduces its environmental impact by grinding all unusable pallet components and wood waste for fuel and mulch. CLM works directly with customers to design custom-sized pallets, skids or crates for any weight or size. Get in touch with us today and find out how CLM can meet your pallet recycling needs.